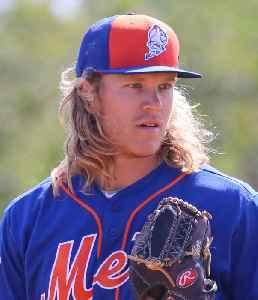 Noah Seth Syndergaard, nicknamed Thor, is an American professional baseball pitcher for the New York Mets of Major League Baseball (MLB). The Toronto Blue Jays selected him in the first round of the 2010 MLB Draft and traded him to the Mets in 2012. Syndergaard made his MLB debut with the Mets on May 12, 2015. He was named an All-Star in 2016, and the Mets Opening Day starting pitcher in 2017 and 2018. Jake Odorizzi and the Minnesota bullpen suddenly went wild, allowing seven straight batters reach base despite not hitting a single fair ball and letting Noah Syndergaard and the New York Mets stroll..